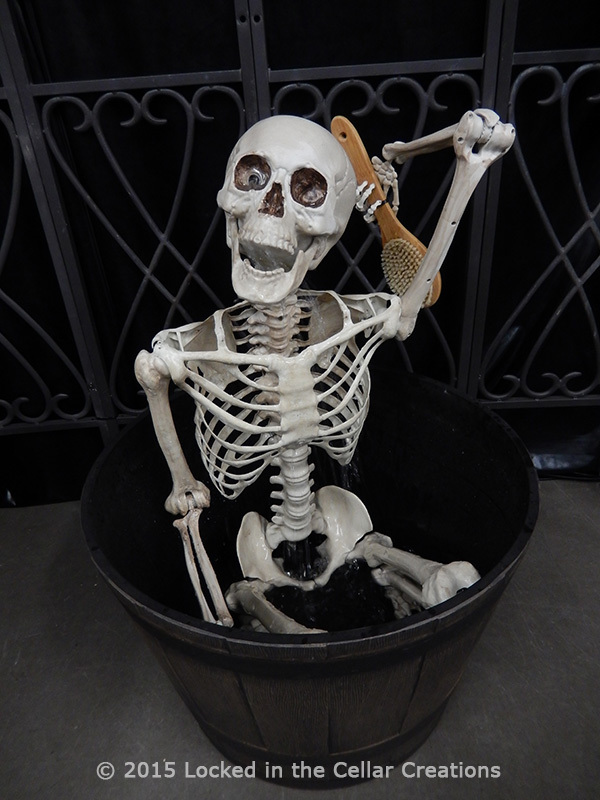 This guy is more funny than scary, squating in his tub, scrubbing himself clean to the bone! This unique fountain is sure to get a lot of attention and laughs. Easy to use! Just fill the container with water until the base is covered, add food colouring (optional), secure the pump, and plug in! The skeleton can be removed from the container for easy draining. He can be placed in any container of your choice (or even a pond!) as long as he can be propped at the right water level.